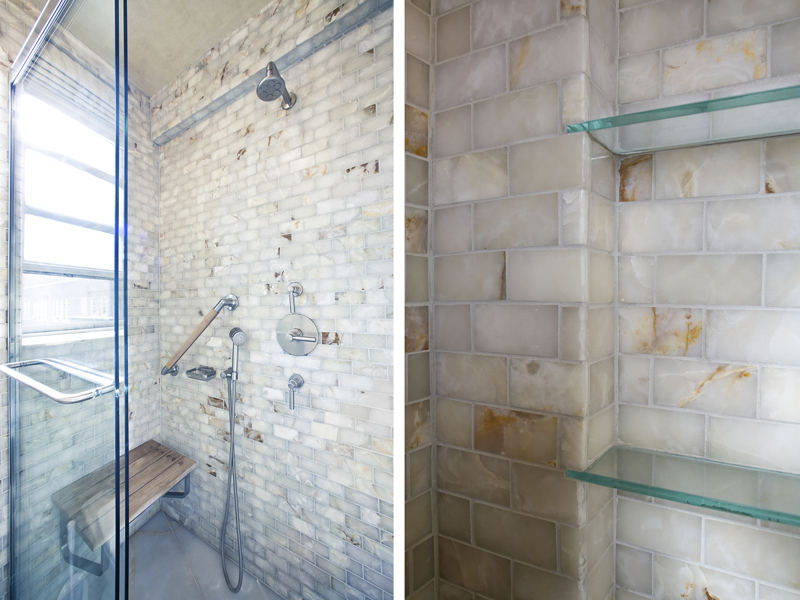 As part of the three-phase renovation of this 2-bedroom prewar apartment, a gut renovation of the existing master bathroom was undertaken after the renovation of the kitchen was completed two years earlier. 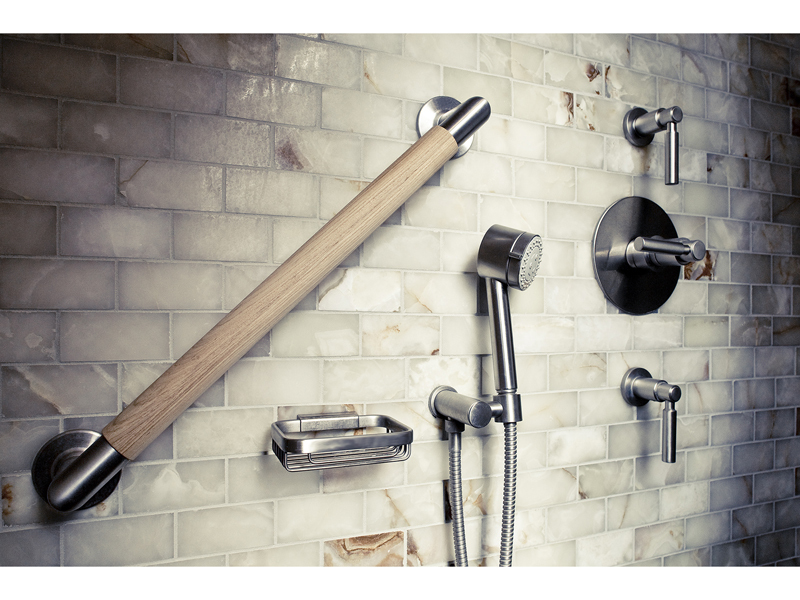 The master bath renovation included white onyx tile throughout and custom vanity, shower door, towel bars and shower seat made out of teak and stainless steel. 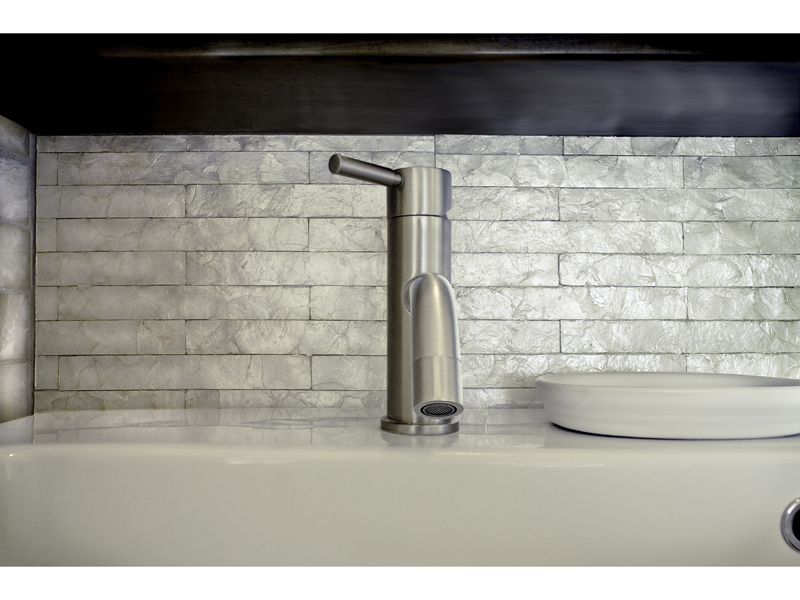 The backsplash behind the vanity area was a Maya Romanoff wallcovering made of mother of pearl. 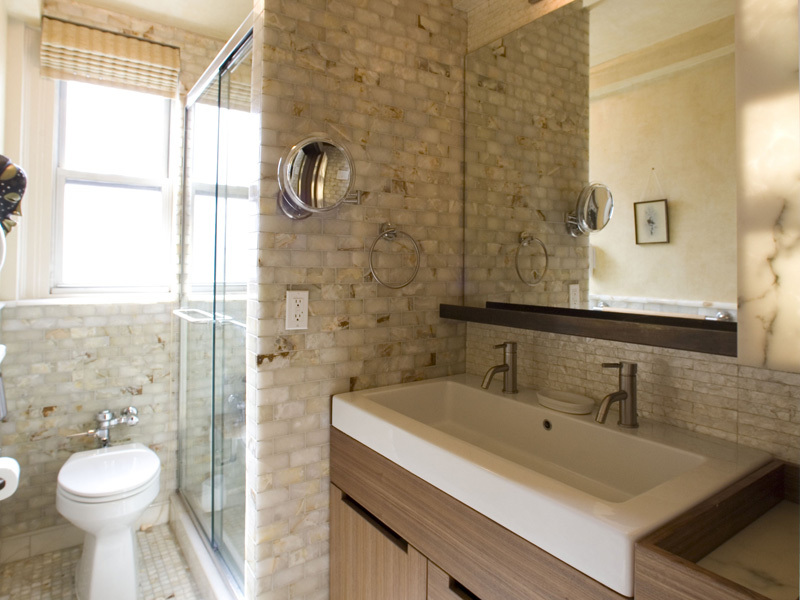 Tight for space, a custom-made vanity incorporated the radiator within the cabinet. And a removable slotted teak panel/grille allows the heat to circulate. Alongside the vanity mirror is a backlit alabaster panel, which doubles as a nightlight.